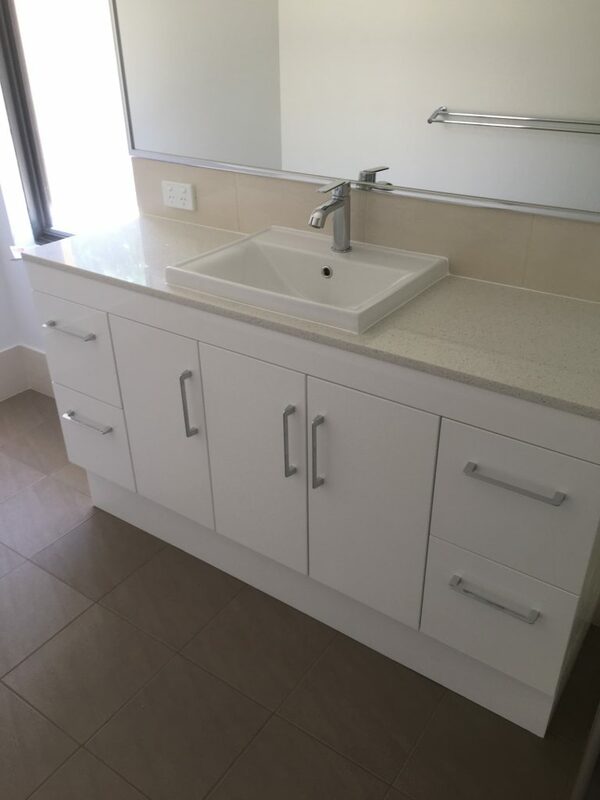 Your AAS Renovation Consultant will attend the property and ask you a few questions, such as how do you currently use your bathroom and what you are looking to achieve out of a renovation. We will then measure up your bathroom and take some photos to enable us to provide you with an accurate estimate. A discussion on any styles or examples of bathroom renovations that you like, or may have seen before will take place. At this time, we can also show a range of bathroom fixtures and fittings, as well as other examples of bathrooms we have renovated that are similar to yours. As per the Morley property owners request our team advised that it was possible to make the bathroom bigger by extending it into the next room (the theatre room). To achieve this we removed the back wall (where the small vanity is pictured above), extend this wall back in towards the theatre room and then built a new stud wall with door and frame. This also allowed us to make the shower and shower screen bigger and we then supplied and installed a new 1500mm vanity with mixer tap, tiles for the floor and shower walls. All plumbing and electrical was included. Remove all waste and clean site. Inspired by this transformation? Find out more about our bathroom extension services and how we can improve the quality of your space. Get a free quote by contacting us today.